We have a big problem here in Mahahual, and all along the Mexican Caribbean to Xcalak, tons of trash washes up on the beaches every day. We have a lot of plastic bottles and straws, and other refuse that is constantly having to be cleaned up off the beaches. 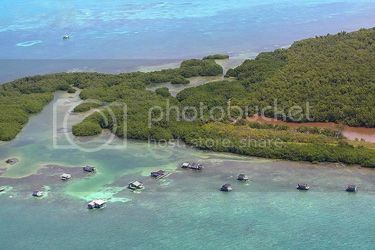 The farther south you go from Mahahual, the worse the problem is. They have even started a program here to try to keep the beaches here clean of plastic. They even have started a Facebook page to combat the problem. It is https://www.facebook.com/groups/196431667437420/, if you are interested in helping out. I came across this article yesterday which describes the problem in our oceans around the world. I see every day the effect that all this plastic and garbage does to our beautiful beaches of Mahahual. When you’re driving down the West Coast Highway on Vancouver Island, it’s hard not to be in awe of the surrounding natural beauty. The 60-mile stretch of highway that runs from Victoria to Port Renfrew is flanked by the sprawling Pacific Ocean on one side and lush rainforest on the other. Scattered between the trees and ocean are a plethora of beaches where people hike, surf, swim, and camp. It’s a paradise for outdoor enthusiasts. But beneath the pristine wilderness there’s a global epidemic slowly infiltrating Canada’s oceans and beaches: garbage. 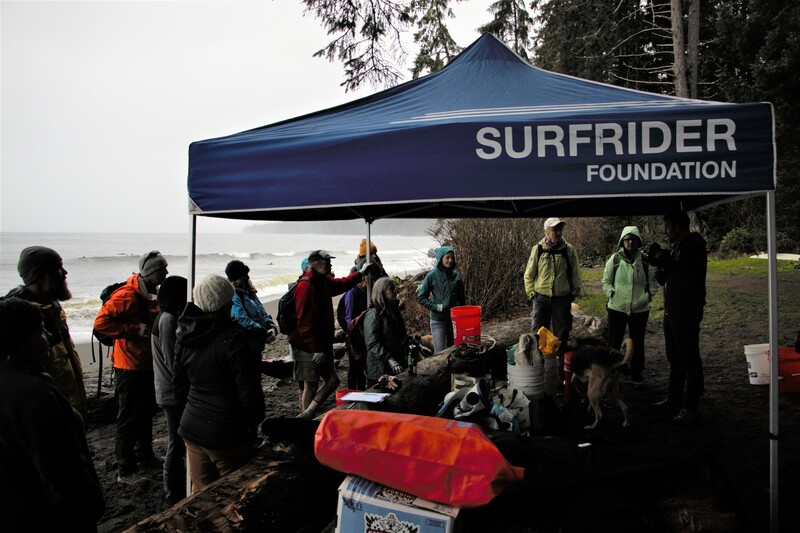 Surfrider started as a small grassroots movement in California during the 1980s and now boasts more than 50,000 members with roughly 80 chapters around the globe, including three in Canada. Every month, the Vancouver Island Chapter has a beach cleanup, where volunteers put on work gloves, rubber boots, and pick up garbage. On this particular day, there are a couple dozen volunteers scattered across the beach, piling discarded bottles, cigarette butts, plastic straws, beer cans, flip flops, and an assortment of other trash into white pails. Ultimately, the group dumps the garbage onto a giant, blue tarp, where it’s sorted and carried out to a truck for proper disposal. 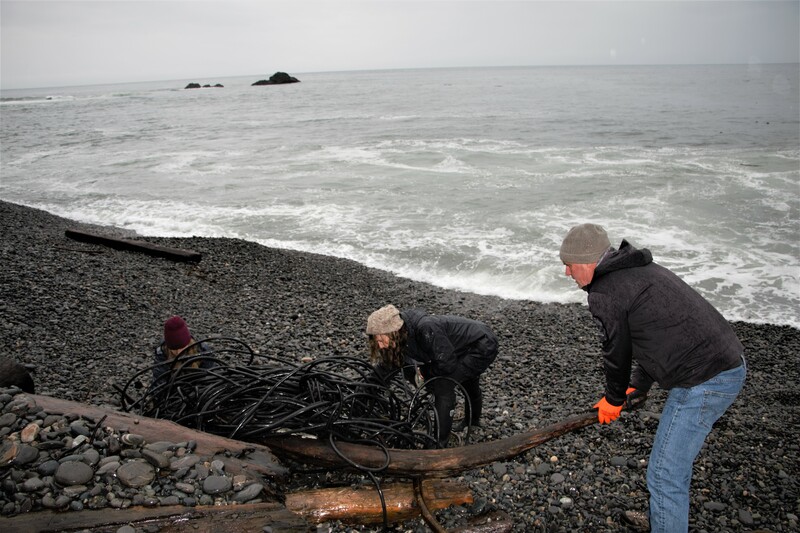 After the trash is gathered and weighed, the volunteers on Sombrio will have picked up approximately 650 pounds of garbage, including a substantial bundle of gigantic wire that’s washed ashore. It’s a problem that has locals taking action. “I’ve been coming out to this beach since I was kid,” said Jamie McKay, chairperson of the Vancouver Island chapter of Surfrider and lead organizer of the Sombrio cleanup. McKay added that he eventually started coming out to cleanups with Surfrider, and, before he knew it, he was helping lead the local chapter. Surfrider has a variety of initiatives and campaigns focusing on beach access, coastal preservation, clean water, ocean protection, and plastic pollution. Garbage and plastic pollution has become a global epidemic, one that Surfrider is working hard to combat. 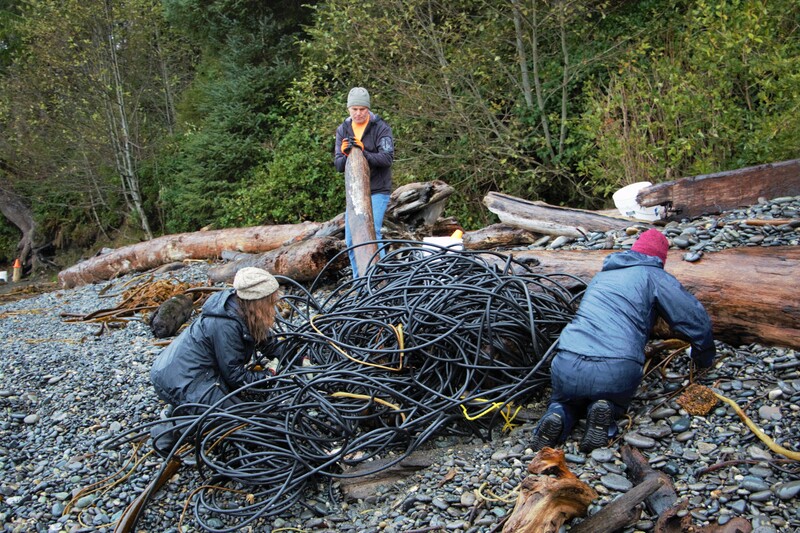 Last September, more than 40 tons of garbage was pulled from the beaches of Vancouver Island alone. A good portion of the garbage is alleged to have come from the Japanese tsunami of 2011. However, the problem is not limited to just Vancouver Island; in 2015, a study estimated that the ocean contained 5.25 trillion pieces of garbage and counting. Some even estimate there will be more plastic than fish in the ocean by 2050. There have been reports from around the globe about the impact plastic pollution is having on both coastal marine environments and the wildlife that inhabits these regions. Recently, a whale off the Norwegian coast was found with more than 30 plastic bags in its stomach. In Canada, researchers have warned that plastic is affecting birds and smaller marine life. For a country with the largest coastline, it’s a problem that’s not getting better. The BC government did not respond to multiple requests for comment. A good portion of this plastic pollution is attributed to “throwaway” culture. Coffee cups, water bottles, and plastic bags are just some of the biggest culprits that often end up in the ocean and on the beach. Some of these plastics, once they’re in the ocean, break down into microplastics. In their simplest form, plastics shred into smaller particles as sunlight makes them brittle and the waves break them up, leaving them adrift to be ingested by marine life. “Most of the oceans now contain some amount of microplastics,” Marcus Eriksen, co-founder and Research Director of the 5 Gyres Institute, a nonprofit group “that empowers action against the global health crisis of plastic pollution through science, art, education, and adventure,” told me. The research on the impact of microplastics is relatively new. As a result, authoritative data is mostly incomplete. However, Dr. Marie Noel, research manager of the Ocean Pollution Research Program at the Vancouver Aquarium, said in one study they found “3,000 particles of microplastics per cubic meter of seawater… which is a significant amount.” A few papers have been released on the impact of microplastics, but Noel hopes to have a full report out sometime in the near future. Noel added that the pollution program is also studying the effects of plastic and garbage on killer whales, mussels, zooplankton, and is doing a broad monitoring of pollution on the BC coast. Locally, Surfrider is working with the City of Victoria to try to establish a plastic-bag ban in stores, with the hopes of getting consumers to switch to reusable bags. In Tofino, a small coastal town on the west coast of Vancouver Island, a Surfrider-led initiative has several businesses that have voluntarily agreed to stop using plastic straws. Surfrider’s Montgomery said people can do other things like stop using single-use plastics like water bottles, refuse a plastic straw when at a restaurant, and, instead of using plastic bags, bring your own reusable bags when you shop and bring your own coffee mug when filling up your beverage. Ultimately, many think actual policies are needed for people to change their consumer habits. “It’s a long-term effort to get rid of the single-use throwaway culture,” Eriksen said. He added that legislation would help place responsibility on the consumer, but ultimately change can start with an individual’s habits and consciousness of what they’re buying. “The biggest first step anyone can take is when they’re at the grocery store shopping, thinking about what they’re purchasing,” said McKay. Speaking of stuff that washes up, what is that thing at the edge of the malecon, between the Navy pier and the base? Looks like some kind of railing, made of plastic, like a trampoline frame? Maybe blew onshore with some hurricane?